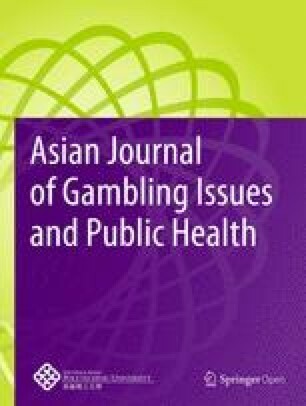 The study examined the harmful effects of casino gambling in Korean society from economic and psychosocial perspectives. Interviews with gambling addicts were conducted in order to gain insight into the impacts of pathological gambling. Using snowball sampling, 12 gambling addicts were recruited in Kohan, South Korea. Findings of the study suggest that gambling addicts suffer various harmful effects, including an increased susceptibility to financial and employment problems, such as debt and accumulated interest, bankruptcy, job loss, and decreased productivity. Participants in the study complained of physiological problems, including headaches, high blood pressure, arthritis, indigestion, a stomach disorder, and rapid weight loss. Common psychological problems reported included symptoms of high-level stress, depression, anxiety, insomnia, and suicidal ideation. For some interviewees who smoked and drank alcohol, consumption of these substances increased in response to their gambling. All participants reported disrupted relationships with their immediate family, relatives and friends. Moreover, they experienced stigma, discrimination, and feelings of alienation. With regard to criminal and legal problems, they were exposed to increased risk of litigation and violence. Clinical and political attention should be paid to the issue of gambling addiction in Korea, with a view to the prevention and treatment of gambling disorders. Management of gambling problems needs to consider economic and financial wellbeing, employment, physical and psychological health, interpersonal relationships, and the risk of criminal involvement and other legal issues.